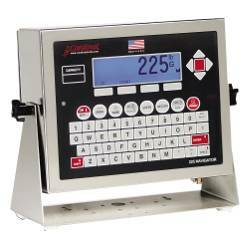 Cardinal's model 180 digital weight indicator is designed for multiple applications. 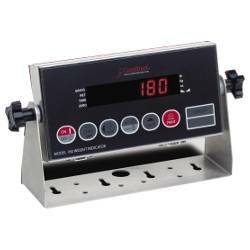 Whether you require a weight indicator for your scale or a display for viewing weight in remote locations, the Cardinal 180 is the economical and durable choice with its robust stainless steel enclosure. 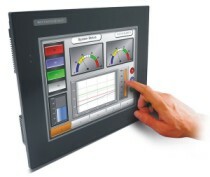 Remote Display/Keypad for Other Cardinal Indicators. 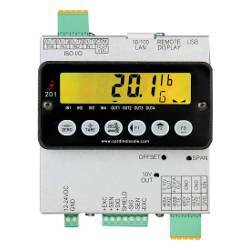 Serial Connectivity for Output to One Label/Ticket Printer or PC. 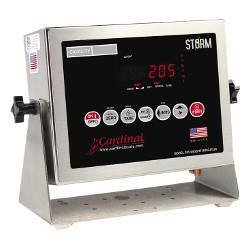 Cardinal nCONTROL Ticket/Label Printing Configuration. Versatile Mounting Bracket for Wall or Desktop. U.S. Manufactured for the Highest Quality. Highly-Visible, 0.56" High, Bright Red LED.